The cost of installing a fence can be as low as $500 and as high as $8000. Homeowners generally spend $1500-$4000 on their fencing project. 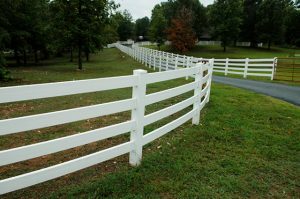 There are several factors that affect fence installation cost. There are different types of fence materials. The options include chain link, wood, vinyl, composite, concrete and metal. Chain link is the cheapest option while concrete and metal fences are very expensive. The installation cost increases if a fence material requires more labor and preparation. There is a wide range of fence designs. The type of design you select for your fence depends on your specific needs and preferences. You have to take into account your budget and the type of property you want to fence. A design that is suitable for animal fencing will not look good for playground fencing. The fence installation cost depends on the ground distance that you want to cover. Fencing a small playground will cost less compared to a large farm property ground. You may want to install higher fence panels for more privacy. Such a fence will cost more. Fencing requires regular, corner and end posts. Your fencing cost will depend on the type, design, and material of your posts. Higher fencing will require heavy-duty stronger posts. If it is a windy area, you need to install posts that will be able to withstand high wind force. Caps used on top of posts are available in various designs. The simple design cap will cost less while caps with intricate design will cost you more. Depending on the type of fence you want to install, there may need to install other items or use other materials. Installation or use of such items will increase the cost of your fencing project. Repair or Replace Your Fence? Is it a completely new fencing project? Does it require ground leveling or earthmoving? Does it require removal of old, damaged and worn out fence? There will be a slight increase in the fence installation cost if your fencing project requires additional services. Do not buy any fencing item without consulting an experienced fence installer. You may inadvertently buy items that are not suitable for your fencing project or incompatible with other project items. You can avoid these mistakes if you consult a professional fencing expert when planning your fencing project.